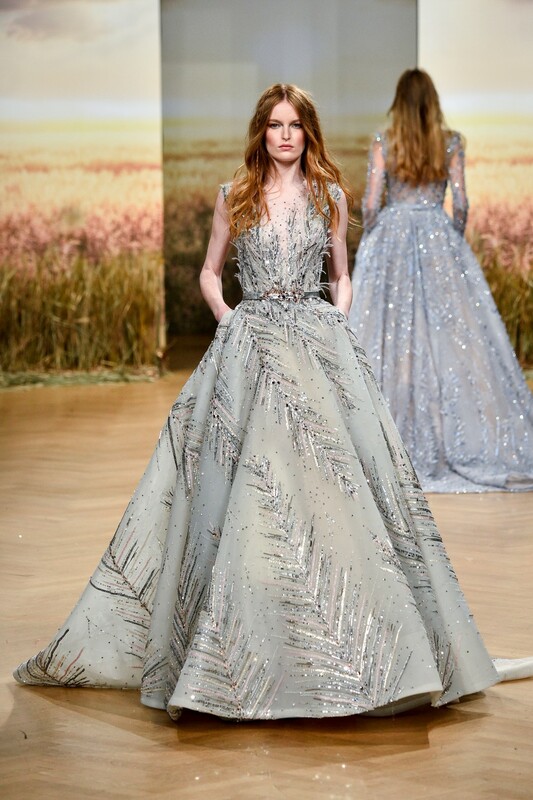 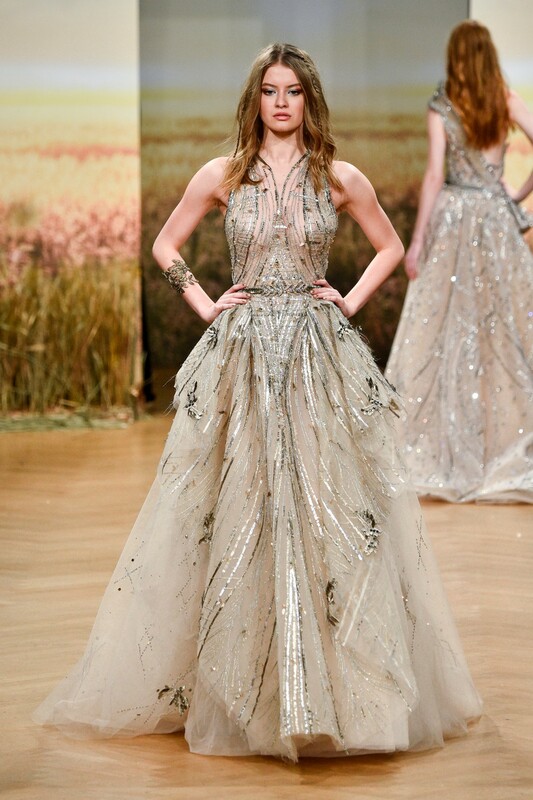 While Georges Hobeika looked to Greek architecture and decorations for his Spring 2018 collection, Ziad Nakad conjures Demeter, the Greek goddess of wheat, to send his collection of sunny gowns down the catwalk with embroideries of yellow and golden ears dotting his creations. 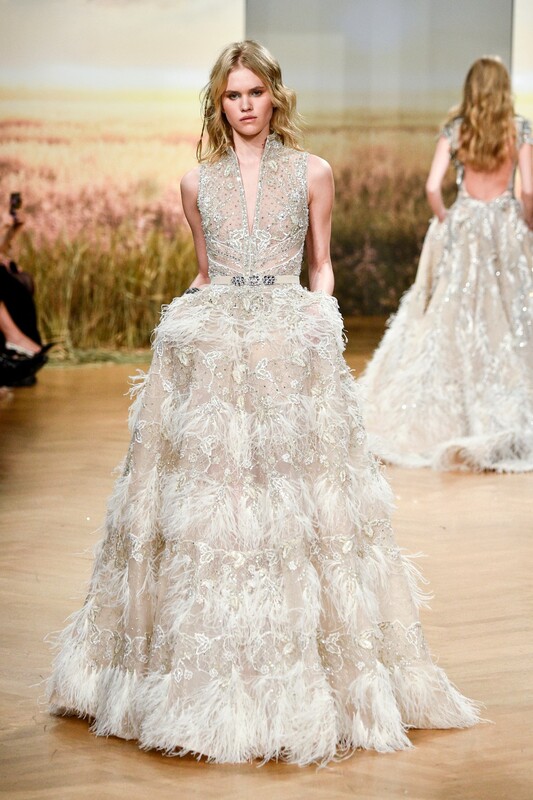 Tightly fitted bodices gave way to full skirts richly embroidered or embellished with fabric and feather appliques. 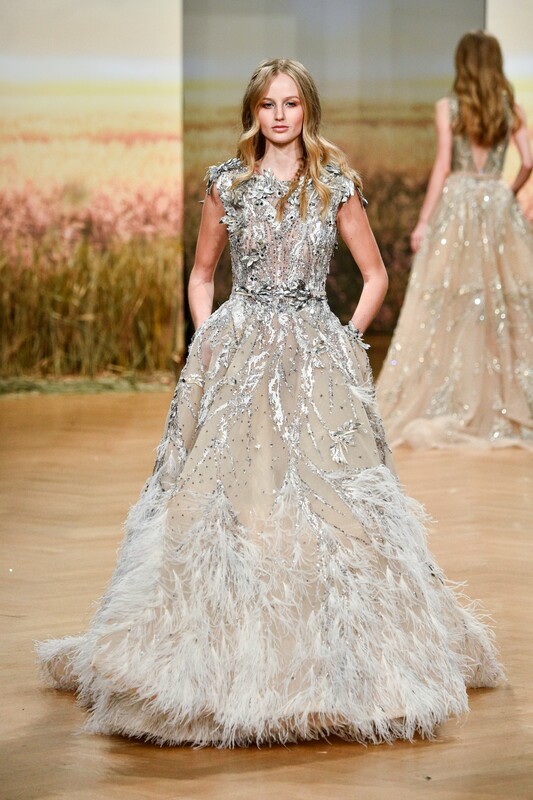 Thin belts with a decorative buckle defined the waists and transparent tulle sleeves sporting floral embroideries created subtle tattoos on the models’ arms.